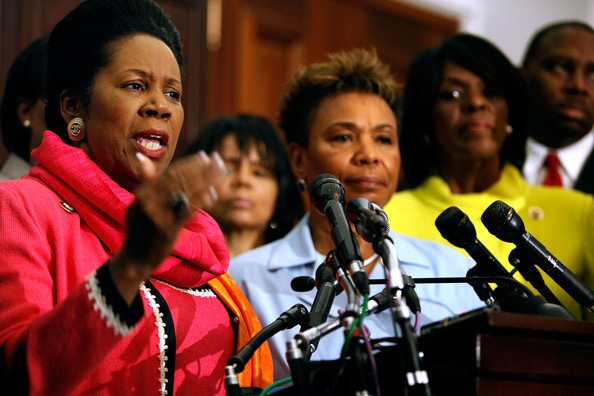 The Congressional Black Caucus Foundation’s Fifth Executive Economic Summit entitled, After Hurricane Harvey: Economic Lessons Learned and the Role of Business in National Disaster Relief Efforts, will be heading to Houston this week on Monday, December 11, and will be hosted by Congresswoman Sheila Jackson Lee (D-TX), who is the first female member of Congress to serve as CBCF Chair, and who represents the historic 18th Congressional District of Texas. Building on past summits, part five in the series will bring together Congressional Black Caucus (CBC) members, business and civic leaders, and service organization relief providers to discuss challenges faced during and after natural disasters. 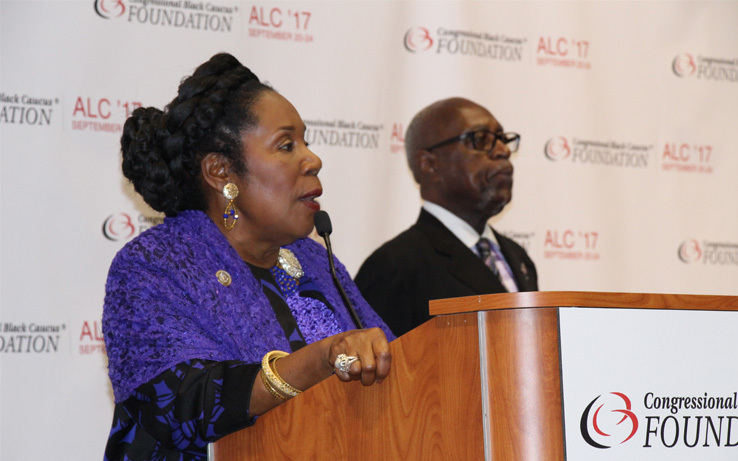 Congresswoman Jackson Lee is excited to welcome to Houston the board of the CBCF for a fact-finding visit to witness firsthand Houston’s unrivaled resilience from the devastation of Hurricane Harvey. It will serve as an unparalleled opportunity to network and create stronger, better connected, and more prosperous African American communities post natural disaster. In the aftermath of Hurricane Harvey, the rippling effect touches many aspects of an individual’s wellbeing. While the CBCF Summit series typically focuses on mapping minority access to capital with business leaders and others in the financial services sector, however this Summit will also focus on those in our communities impacted by Hurricane Harvey. Additionally, the Summit will explore the role of business in assisting hurricane recovery efforts. Discussion will center on how Houston businesses can leverage their capital and other resources to assist African Americans in Houston with comprehensive strategies that include immediate and long term pathways to financial recovery. Panelists and speakers will also offer practical tips and strategies, and local service organization relief providers will be invited to share guidance and direction on next steps. Some of the other guest speakers and panelists who will be joining the delegation include: Mayor Sylvester Turner; Rev. Jesse L. Jackson, Founder & Chair of Rainbow/PUSH Coalition; Texas State Representative Senfronia Thompson, Vice Chair of Economic Competitiveness. Select Committee; John Mingé, Chairman & President, BP America, Inc.; Robert F. Smith, Founder, Chairman, and CEO, Vista Equity Partners; Donna M. Sims Wilson, President of Smith, Graham & Co. Investment Advisors; Colette D. Honorable, Partner, Reed Smith LLP; Courtney Johnson Rose, Chair, Houston Black Chamber of Commerce; Carlecia D. Wright, Director for the Office of Business Opportunity, City of Houston; Gerald Womack, President and CEO, Womack Development & Investment Realtors; Shashrina Thomas, Vice President, Tri-Cor Industries, Inc.; Carla Lane, President and CEO, Lane Staffing; Julia Hogan-McNeil, Founder, Julia-Cooks Organic Super Foods; and a number of local elected officials, business and civic leaders. The group will visit several areas around the city that were hard-hit by Harvey, and meet with many of the good Samaritans who reached out and helped their Houston-area neighbors in their time of need. TV One’s Roland Martin will provide live coverage during portions of the group’s visit. According to FEMA, data on disaster relief funds disbursement pertaining to Hurricane Harvey, Texas has received $1.065 billion dollars in individual and household assistance spanning 15 member districts, including Congresswoman Jackson Lee and Congressman Al Green. In addition to Texas, the communities of Georgia, Florida and the U.S. Virgin Islands suffered as a result of the destruction and damages caused by hurricanes. The Houston Summit will feature a special issue town hall forum on the role of business and other relevant organizations in assisting African American communities with disaster relief. Other CBC members representing districts impacted by Hurricanes Harvey and Irma are being invited to discuss specific challenges black communities encounter when natural disasters occur. The Summit will provide a platform to discuss the disproportionate impact because of income, employment, poverty, access to resources, human capital, and information. CBC members will offer observations and perspective on federal recovery efforts and strategies. The summit will also include a pre-Summit reception & VIP dinner on Sunday, December 10. Individuals interested in attending the summit may apply through a CBCF application link where they are asked to register with their title, affiliation, etc. and will then be notified of their acceptance. Apply for an Invitation to attend Summit by visiting https://www.cbcfinc.org/economicsummithou/.